GameStop has shut down rumours that a new Donkey Kong game is headed to Nintendo's 3DS, telling Kotaku that display cases for the alleged "Donkey Kong 3D" were not official. "The displays were not supplied by Nintendo and have been taken down," a GameStop representative told me this morning. "It's definitely not in the system in the US. I'm sure it's not elsewhere, either, but I can't confirm that." 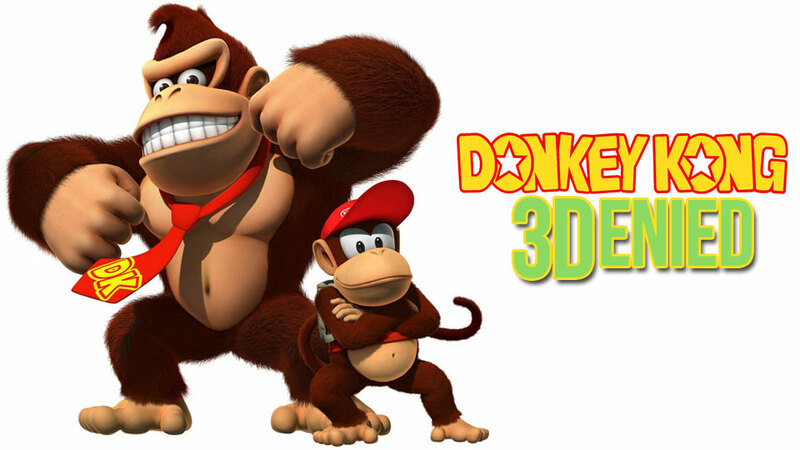 Publisher Nintendo would not confirm or deny the existence of Donkey Kong 3D, telling me yesterday that it does not comment on rumours or speculation. On Sunday, a user on the message board DKVine.com posted photos of the case, displayed at an EB Games (now owned by GameStop). The case alleged that Donkey Kong 3D would arrive in 2012 for Nintendo's glasses-free 3DS handheld. EB Games had lined it up next to a stack of cases for "Super Smash Bros. 3DS," also a red flag. Though Nintendo has announced an upcoming version of the Smash Bros. fighting series for its 3DS, creator Masahiro Sakurai said last year at E3 that the game had not yet entered full production. Nintendo released Donkey Kong Country Returns in 2010 for Wii.